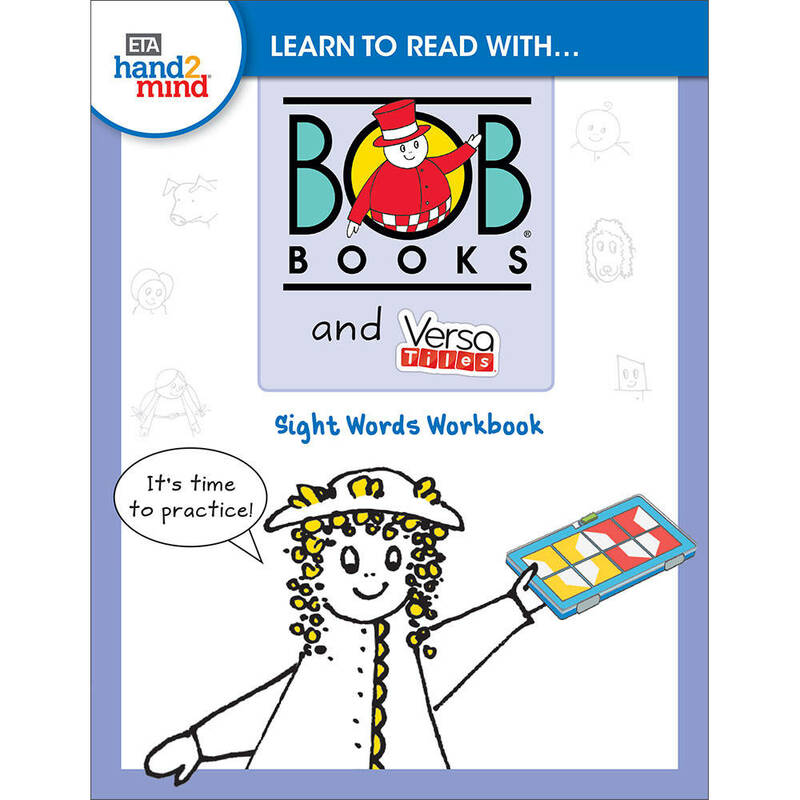 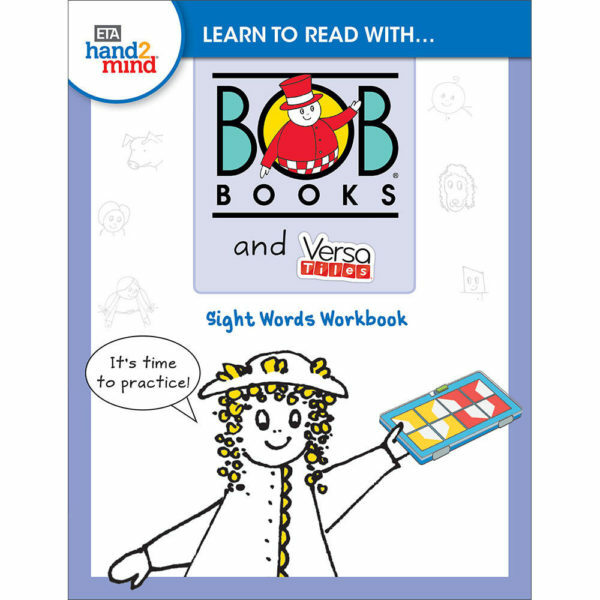 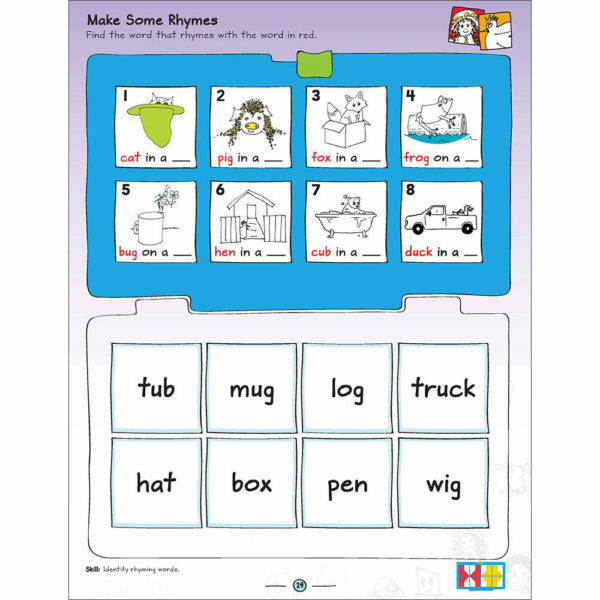 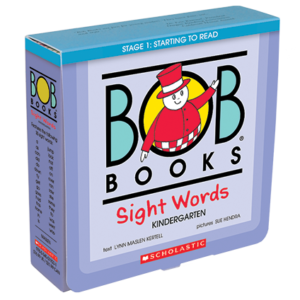 Bob Books Sight Words Kindergarten offers repetition and fun stories to introduce important sight words. 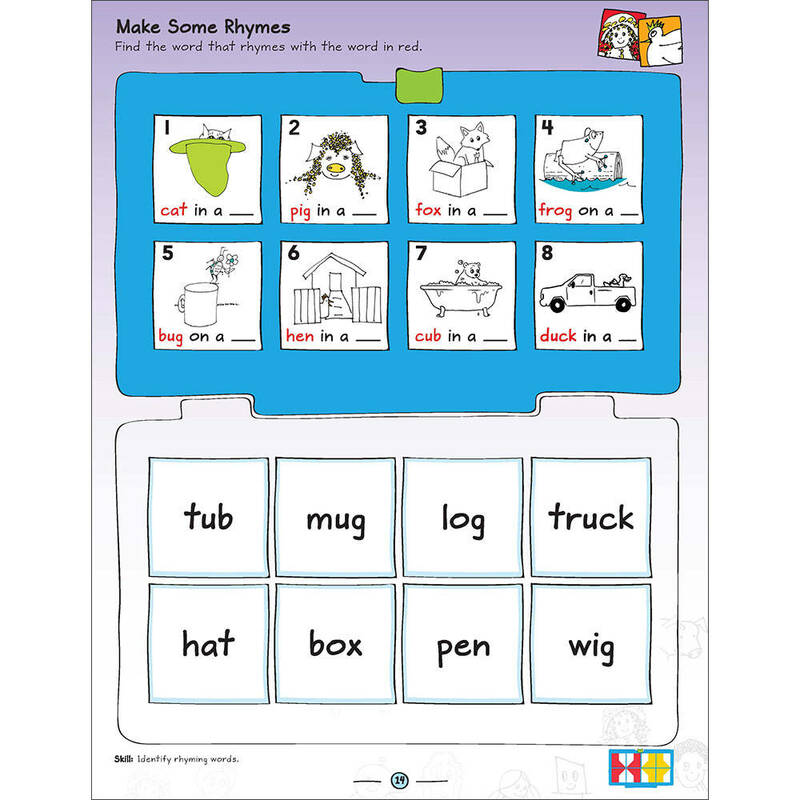 Consistent short vowels and simple stories ensure that each book is a gentle step into early reading. 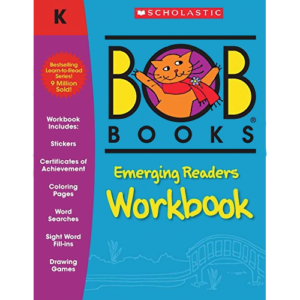 Alongside these books students can practice the skills they are learning by doing activities in their VersaTiles workbook. 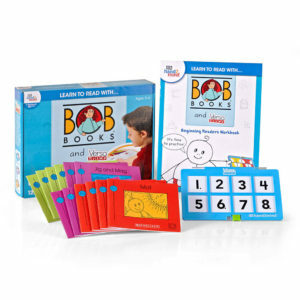 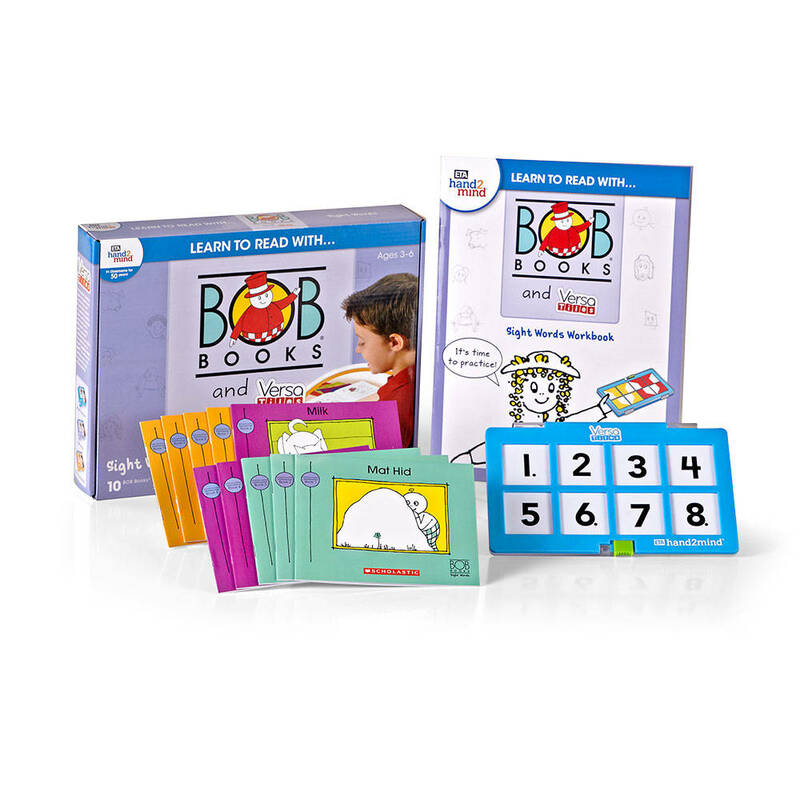 This tried and true practice system creates a hands-on way of reviewing what they are learning in their Bob Books. 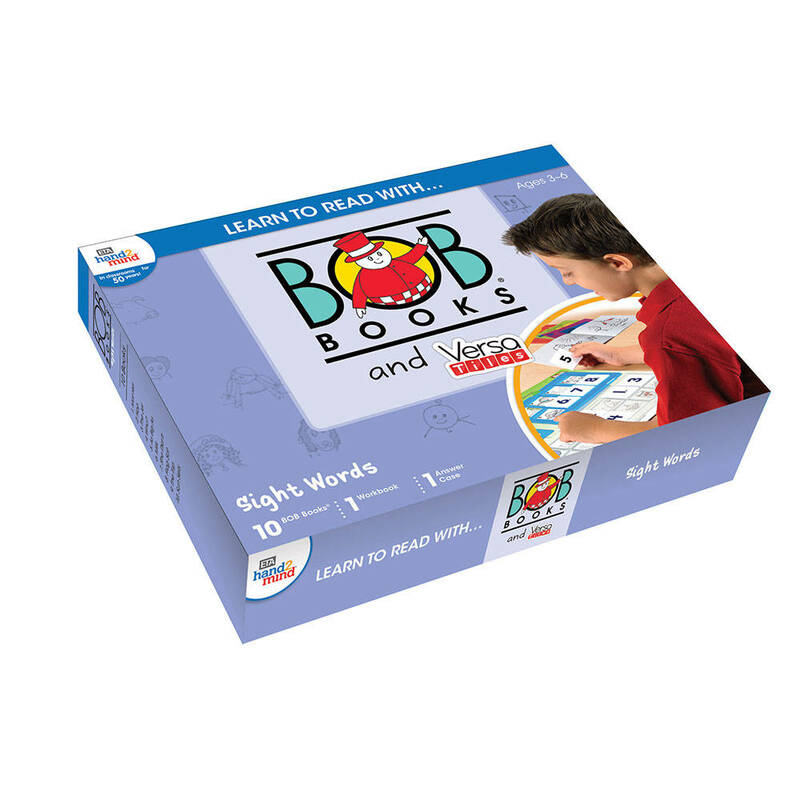 Simply line up the puzzle-like answer case on top of the page in the book, and line the tiles up on top to start. 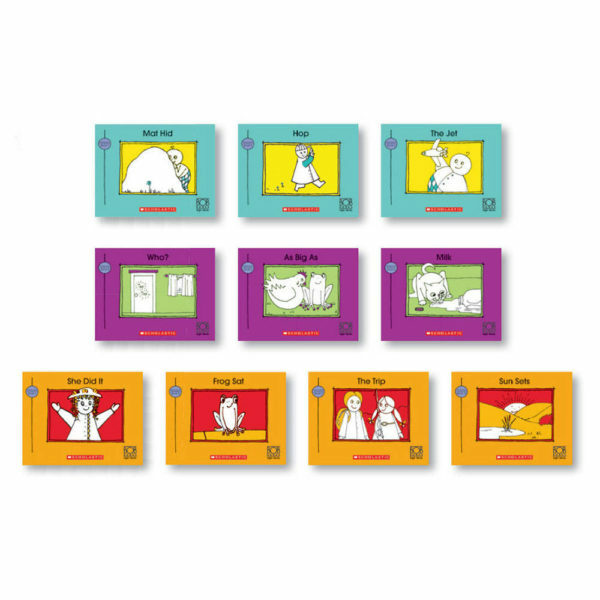 Pick up each tile 1-8 and answer the question underneath it. Once each tile is placed, close the case, flip it over and see if the pattern matches what is on the bottom right corner of the workbook page. 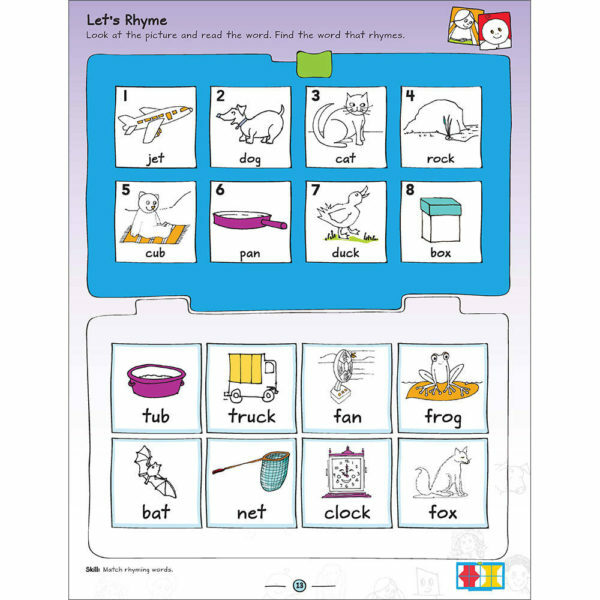 This practice is what helps students to comprehend what they are learning and gives them confidence in their reading abilities. Bob Books Sight Words Kindergarten Set – 10 Bob Books that focus on introducing 30 of the most commonly used Sight Words.